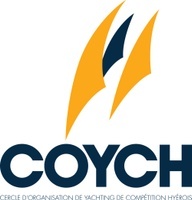 This regatta will be organized by the COYCH. Sailors wishing to enter must first complete an application form. Sailors must first make an application on the Eurilca website and application will be final if they pay to coych on the COYCH Website before the entry is closed. No entries will be accepted after and number is restricted to 500 sailors. Entry fees is 30 euros for coaches with full acess to the social program. Each participating boat shall be insured with valid third-party liability insurance with a minimum cover of €1,500,000 (1.5 million Euros) per event or equivalent there of in any other currency. Hyères in the southeast of France is a popular tourist destination with a mediterranean flair. Its warm moderate climate makes it an ideal place for sailing all year around. In this season there are a lot of hotel near the Yacth club and also a lot of apartment to rent.